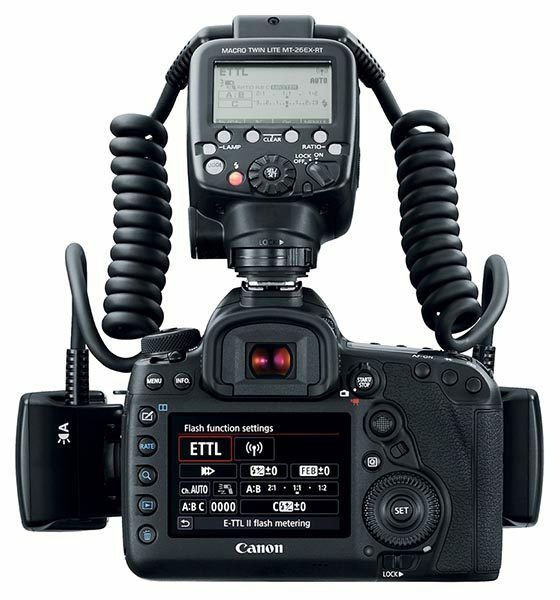 Today Canon has updated it’s macro flash line-up with the Macro Twin Lite MT-26EX-RT. I’m pleased to see that the new flash works with the RT flashes, this allows for really creative lighting by offering control of background flashes, such as the Speedlite 430EX III-RT or 600EX II-RT. Canon today announces the launch of the Macro Twin Lite MT-26EX-RT – a powerful, high-performance specialist flash for professional photography. Building on the rich feature set of its predecessor, the MT-24EX, the MT-26EX-RT possesses boosted illumination power, increased flexibility, enhanced durability and improved usability. It is perfect for shooting in compact spaces such as product and food shots, wildlife close-ups and dental imagery. The MT-26EX-RT features Macro Twin Lights with moveable flash tubes, which can be positioned at five degree intervals around the lens. They can be rotated upwards or downwards, plus pivoted inwards or outwards, depending on the lighting requirements of the shot. As a result, the most intricate detail can be captured close up, which is ideal for product photography and portrait shots where features need to be emphasised through careful lighting. The MT-26EX-RT also comprises high-brightness white LED focus lamps, which allows the camera to easily focus on objects and gauge how lighting impacts the shot prior to it being taken. The combined guide number (the flash’s ability to illuminate the subject at a specific sensor sensitivity and angle) for both tubes has been increased over the MT-24EX to 26/78 (ISO 100 in meters/feet) delivering outstanding close-up photography. The MT-26EX-RT is supplied with new clip-on diffusers for each flash head, which softens the light from the flash, preventing hard highlights from impacting images. The flash now includes a lower output flash power option to ensure the correct exposure when used with fast lens apertures or at close distances. The MT-26EX-RT also features a 5.5 second flash recharge time, or as fast as 2.5 seconds using the optional CP-E4N compact battery pack, guaranteeing the ability to rapidly set and capture the perfect shot. This is ideal for shooting wildlife close-up where every moment matters. A flash indicator is displayed on the LCD panel showing charge progress. Alongside this rapid charge, thanks to the enhanced durability of its flash tubes, the need to service the flash regularly has also been vastly reduced. 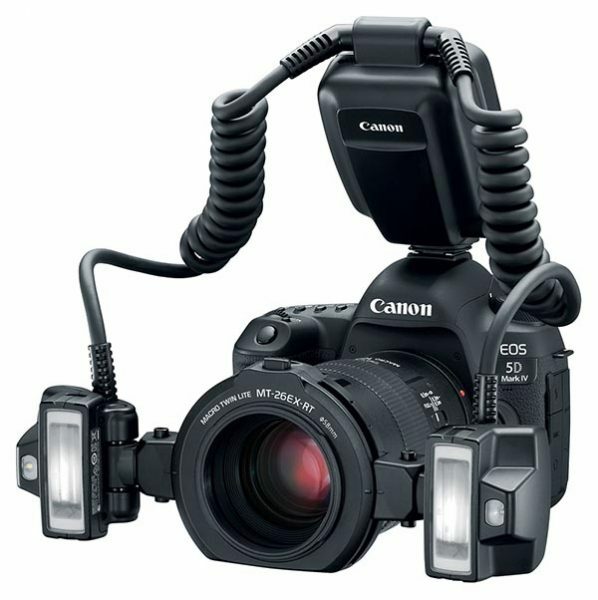 Radio Wireless Master functionality has now been added to the MT-26EX-RT allowing it to control other Speedlite flash units wirelessly. Up to 15 units in five groups can be controlled to provide more light or to illuminate the background to create better separation between the subject and the background. 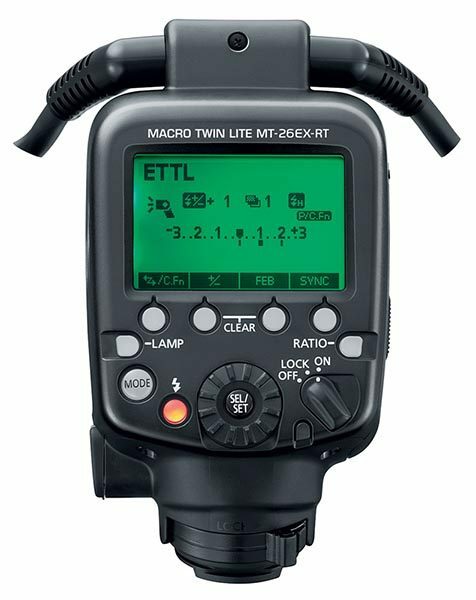 The MT-26EX-RT can also control the exposure of remote Speedlite units via several different methods. Full auto exposure control can be metered by the camera through radio control using E-TTL. The power settings of each flash can also be set manually to ensure the output is controllable and consistent. Each flash unit can also have different exposure control methods, such as a blend of manual and E-TTL, for further flexibility and control. The MT-26EX-RT is available from November 2017 with an SRP of £1,079.99/€1,299.99.